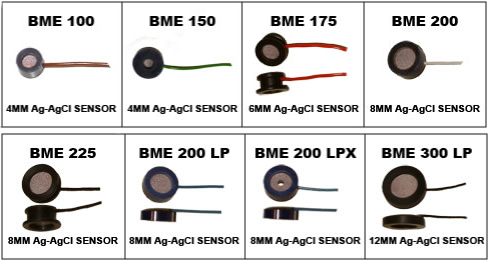 BioMed Products is a manufacturer of reusable “Sintered Silver-Silver Chloride Electrodes” (Ag-AgCl matrix) supplying EEG Cap manufacturers throughout the World with superior quality Sensors. We work closely with our clients to design custom electrodes that fit their needs and requirements. Silver-Silver Chloride (Ag-AgCl) Electrodes are known for their low offset voltage, low noise and stability. 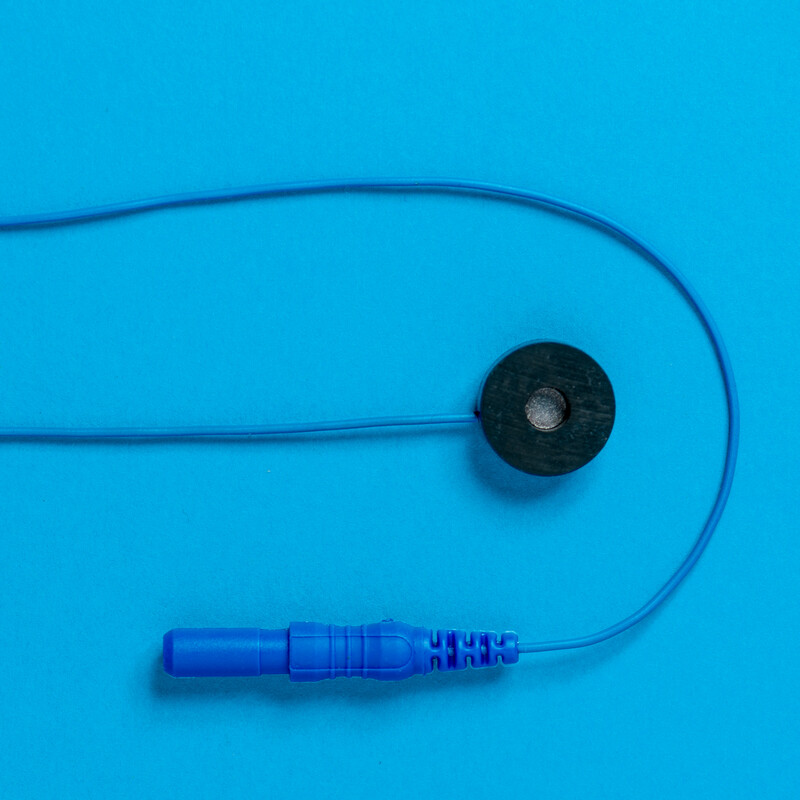 Resusable and non-toxic, the electrodes can be cold sterilized and used indefinitely with minimal care. 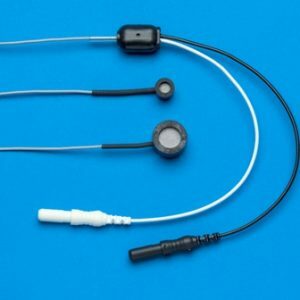 BioMed Products, Inc is known for their EEG Electrode/Sensor superiority, our electrodes are used in EEG, ECG, EMG, ENG, EOG GSR and Evoked Potentials applications. The BioMed Electrode is manufactured through a proprietary process using the highest purity chemicals that results in a fine grain homogeneous mixture, no fillers or binders are used- only pure silver-silver chloride. 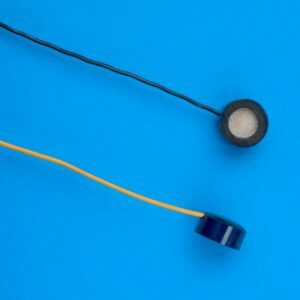 The electrodes are then compressed into a 1mm thick sensor and “sintered” (heat treated) for strength and stability. Standard lead wires are PVC insulated multi-strand copper with internal Tinsel for additional strength. The result is a versatile and durable, waterproof assembly that is reusable and resurfacable. They are easily reshaped by drilling, cutting or sanding. 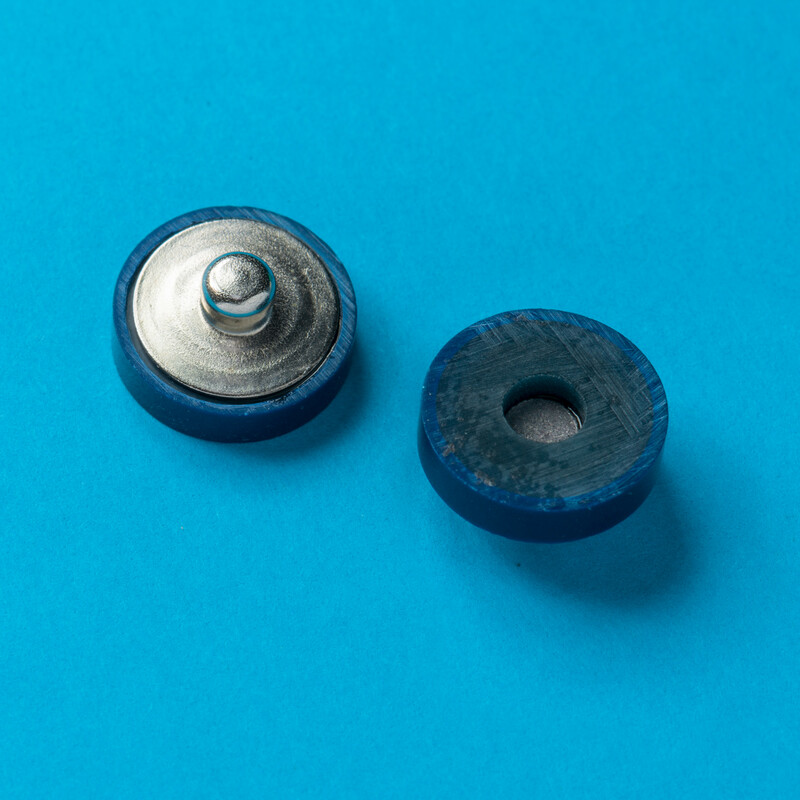 The BioMed electrode is 1mm thick and encapsulated in durable epoxy housings. 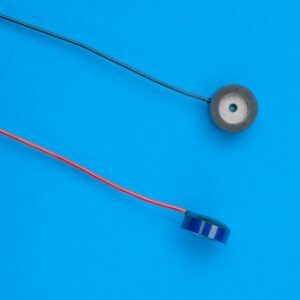 Our electrodes come with 1m or 1.5m PVC insulated lead wires, terminated with a 1.5 DIN safety socket. 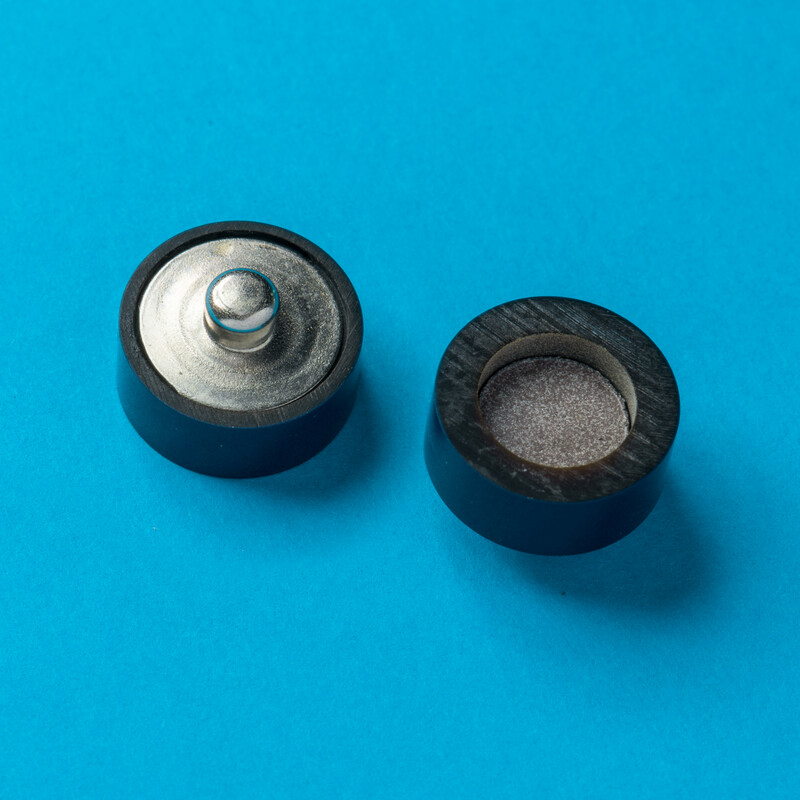 Performance is significantly superior to gold and silver cup electrodes. 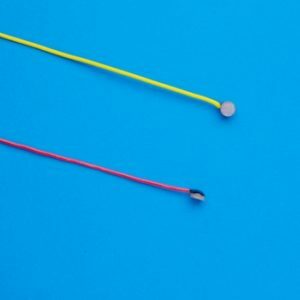 Unlike plated or chlorided silver, the BioMed Ag-AgCl electrodes are homogeneous and solid throughout. Should the surface become damaged or contaminated, a new surface can be exposed to restore the electrode’s original performance. 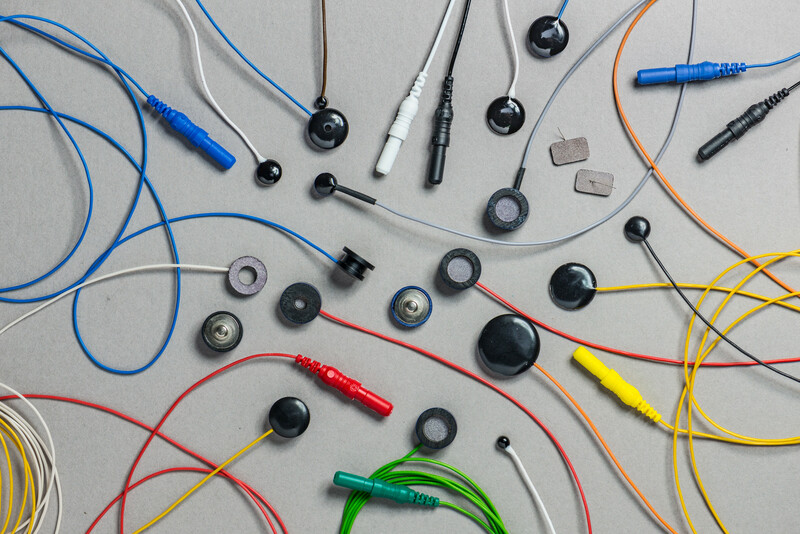 Major EEG Cap manufacturers throughout the world rely on the BioMed Electrode to obtain the quality results they require. 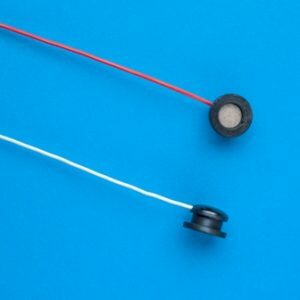 Avoid electrode contamination do not touch with bare fingers, do not mount in direct contact with metals. Do not store with metals such as iron or aluminum. Store in a dry, dark container. Shaping of electrode should be done after it has been mounted in epoxy or supporting medium. When working with bare disks and pellets hold wire with tweezers at the base, avoid repeated bending of silver wire. Paste like, good adhesion, resistance to chloride solutions. The epoxy adhesive used should withstand water emersion and have good adhesion to glass or plastic. darkened surface can be removed if desired by light sanding with a fine non-metallic sandpaper. Cleaning with chemical agents should not be attempted. 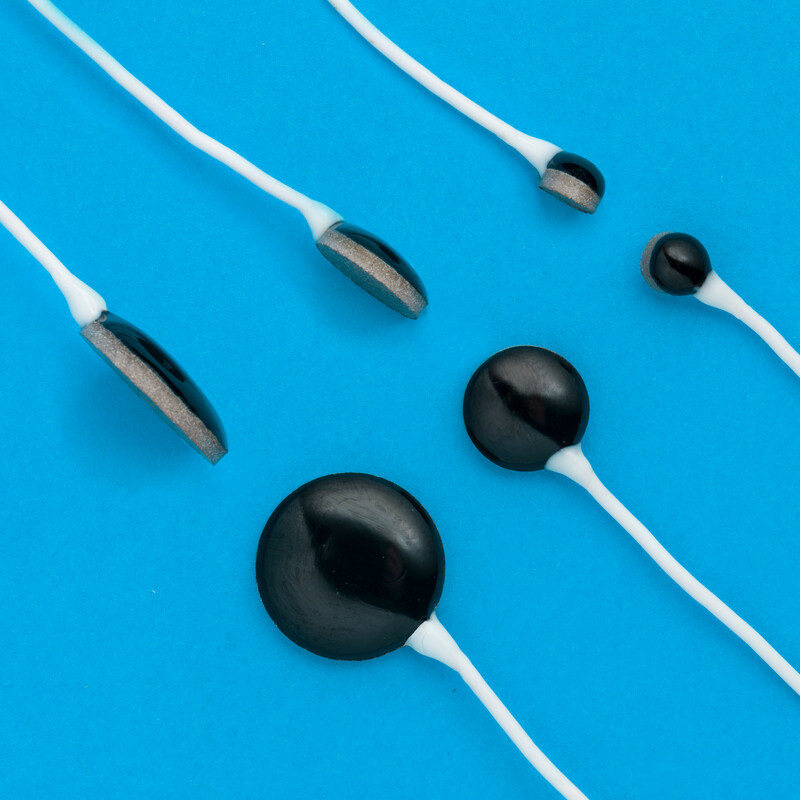 To achieve stable potentials, immerse the electrodes (in pairs with their leads shorted to each other) in a selected electrolyte for 2-4 hours. Avoid touching or contaminating the bare electrodes surface, otherwise offset will increase. 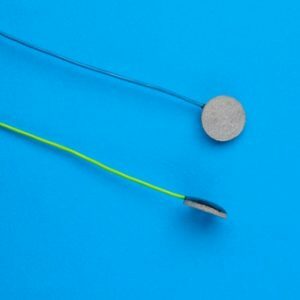 Silver-silver chloride electrodes will withstand temperatures us to 200◦ C. Lower temperatures may be needed as adhesive or encapsulating materials will be damaged by high temperatures. After most electrode applications rinsing with distilled water or isopropyl alcohol will suffice. 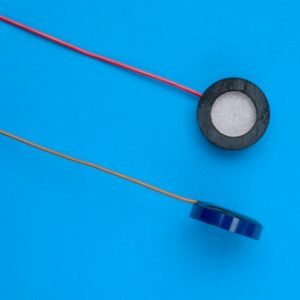 Dirty or corroded electrodes can be re-surfaced by sanding off the electrode with a fine sand paper or pumice cleaner. Do not use emery cloth. Mounted electrodes can be cleaned by scrubbing with a brush and detergent water. Follow by rinsing thoroughly with water, drying and storing as recommended. Acetone or other strong solvents should not be used. If sterilization is required, use ETO gas. Chemical disinfectants containing mercury, phenols, bromide, iodine, zinc, tin or organo-metallic compounds should not be used. Epoxy and cable insulation will not withstand steam sterilization.